Here we are! The first in the Keen on Gifting series. To kick off the giftmas guide I’m starting with elders; particularly, the septuagenarians and octogenarians in your life who love to talk about family history. Rather than opting for the classic family-photograph-in-a-store-bought-frame, why not try one of these modern, sure-to-please gifts that celebrate the family clan as much as it does your elder gift recipient. I cannot recommend a better gift than a DNA test for your grandparents, great grandparents, or anyone in your life age 65 and above. They will be beyond excited to find out if their great great grandmother was actually Native American (hint: probably not) and where their European lineage originates. Plus, if you opt for AncestryDNA, your loved one may find new relatives that they never new existed! Pretty neat I’d say. You can opt for a fancy digital frame that comes with Alexa (two gifts in one!) or perhaps a simpler device that uses a USB stick (pictured above). Or maybe these gifts are a bit out of your price range? No worries, a family photo in a nice frame is always a perfect go-to. Bonus points if you paint the frame yourself! What should we add to this list? Tell us your suggestions! Everyone’s feet get chilly and it is a fact that, as you age, your ability to handle cold decreases. Give your grandparent the gift of warmth with a pair of snuggly, funky socks. 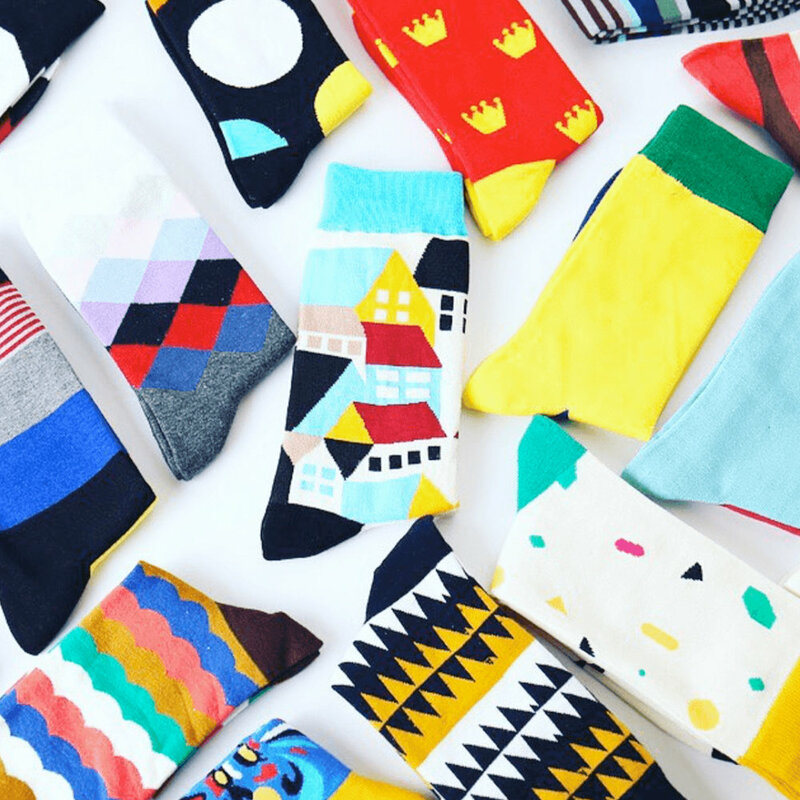 You can try a subscription like Next Socks or check out some of the fun sock options below. This is a gift ideal for elders who love their armchair as much as hosting family holidays or reading the grandkids a grandiose story. DIY it (above) or buy it. If you know how to quilt, then put that skill to work and make a blanket out of fabric-printed photos and/or fabric from important family clothing (i.e., old baby jumper, wedding dresses, etc.). But if you have no idea how to quilt, knit, or the like then this woven blanket is perfect. Nothing says I love you more than a cozy DIY gift. I said it before and I’ll say it again, you can never go wrong with handmade gifts; especially when said gifts are both functional and beautiful. Give this DIY mat to the septuagenarian in your life and they’ll be bragging to all their friends how talented you are and how proud you make them. I gave my grandmother an AncestryDNA kit on Thanksgiving with the hopes that her results would be ready by Christmas. Fingers crossed they come in on time!